Accounting is made simple with this easy guide that will quickly help teach you about the most important fundamental bookkeeping basics for job hunters, business owners and entrepreneurs. Are you looking for a job in the finance industry? Are you interested in starting your own business or are you currently self-employed? Then this book is for you! Those are just a few examples of who would benefit from what can be found in the Bookkeeping 101 For Business Professionals e-book (which you can download here)..
Here’s why this eBook is recommended.. It will help you get the job or increase your odds for success as a business owner. I think this discovery process alone is incredibly valuable. And I think you’ll be pretty surprised at what comes up for you when you go through this simple and useful quick guide. Here’s the best part… it also comes in paperback book print version, AND you can get the Kindle E-Book copy for FREE when you purchase the physical book today! Don’t delay in getting this eBook. In just a few minutes you can have a huge awakening in your understanding of what’s holding you back from financial success. Small office bookkeeping services are experiencing a surge in demand as described by Forbes contributor Russ Alan Prince. The changes are being driven primarily by advances in technology. So, what does this trend mean for your business? Many families are trying to avoid using large accounting and bookkeeping firms, because the services tend to be very costly. 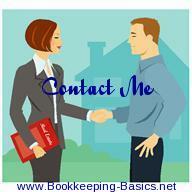 Many family offices have also tried managing their own accounting to save on accounting fees. However, there are a variety of reasons that most family business owners feel that small accounting firms are a preferable middle ground..